In a departure from normal requests, and if its not too much trouble, how about a request for VOTOMS stuff? I'd like a Scopedog and a Standing Tortoise in these colors. Many thanks in advance for whoever does this. 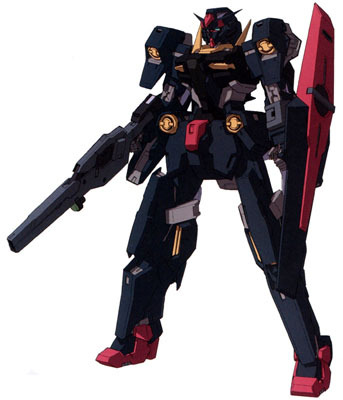 If it wouldn't be too much to ask for, how about a recolor, the Black Gundam Plutone in these colors. Many thanks in advance for whoever does this. Thank you! 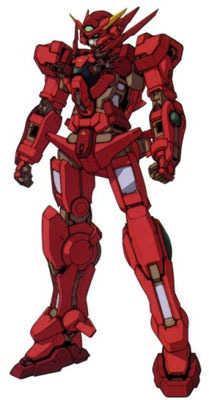 This is just something thats been bugging me for a few days, but would a Gundam normally powered by a true GN Drive actually run on a GN Tau Drive, or is the fake solar reactor not powerful enough or compatible with the Gundam's systems? Many, many thanks in advance, as always. 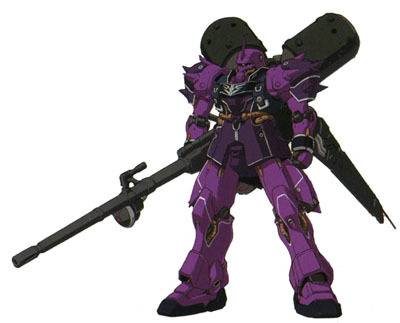 A Gelgoog Jager in Gelgoog Marine colors. And a Dom Funf in Rick Dom II standard colors. Many thanks aplenty in advance, with many more to come. 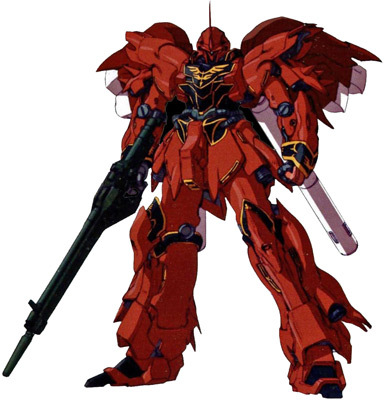 I was wondering if somebody could find a bigger picture for the Dom Desert Colors in Zeonography (link) This is the only image I've found, and its a bit too small. Many thanks in advance, of course, if anybody can find something. Wow, thank you so much! Finally, a Contio picture that isn't pink! And an Imperial Rig Shokew perfect for an ace pilot wannabe! Once again, thanks! I'd like a simple recoloring request (or two). 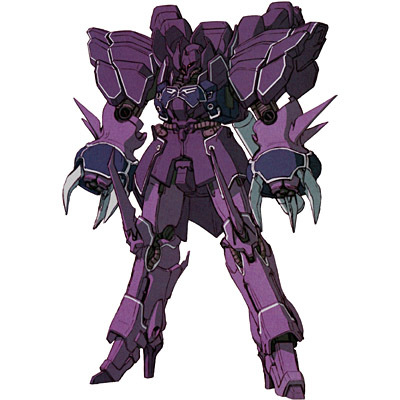 Request 1: the Zanscare Empire's Contio in Rig Shokew colors. Request 2: the Imperial Rig Shokew in Tomliat colors.